Wherever you watch, you can see information on how to go green. No need to go to extremes though, since every little bit helps. Don’t forget that every appliance you have in your house can be green. Every single electronic you have in your house has a counterpart that is green. Microwaves, fridges, TV’s, computers, all of these have alternatives that are greener. 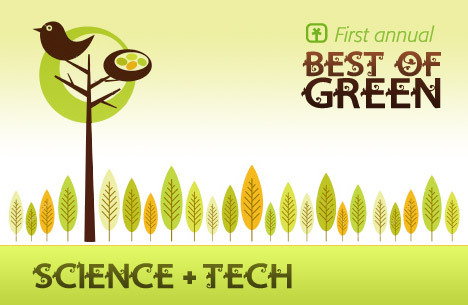 In this time and age you can easily enjoy the marvels of technology without hurting the planet. In most cases, these green electronics will simply consume much less power than regular ones. A normal appliance will use up to half of the normal consume while it’s turned off or when it’s in standby. Green electronics will work just on that, decreasing the amount of energy that is being consumed. In some cases, these green appliances will consume even 60% less energy. Since every little bit counts, buying green appliances can considerably reduce the amount of energy you consume, so the planet’s resources are less utilized. If everyone replaced their old appliances with green ones, the planet’s situation would be a much better one. One other solution is to replace the old appliances with ones that don’t utilize the same type of energy source. For example, there are a lot of appliances these days that are powered by the wind or by solar energy. You can find radios, torches and mobile phone chargers of this type, so your effect on the planet’s resources is zero if you use these. Unfortunately, not all appliances can be run on solar or wind power, but as technology advances we’ll see more and more of them. Changing your habits and your appliances from normal ones to green versions can be costly, but not always. In many cases, these appliances will be at the same price as a normal one.